Look into those delicate little eyes. 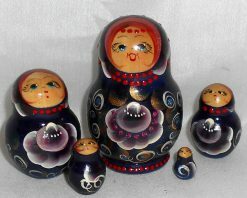 Those two eyes hold years of memories and give nothing but happiness and innocence. 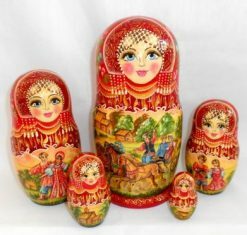 This hasn’t been seen in the world for many years; many people are cruel to one another and wouldn’t think twice about doing so. But after seeing how good one person can be, like this little lady, wouldn’t you want to try a little harder to be loving? 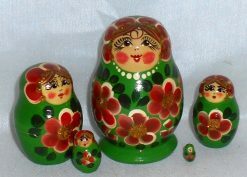 This is a limited edition very detailed Kirovskaya matryoshka has very well detailed sleeves and apron with distinctive black detailing . 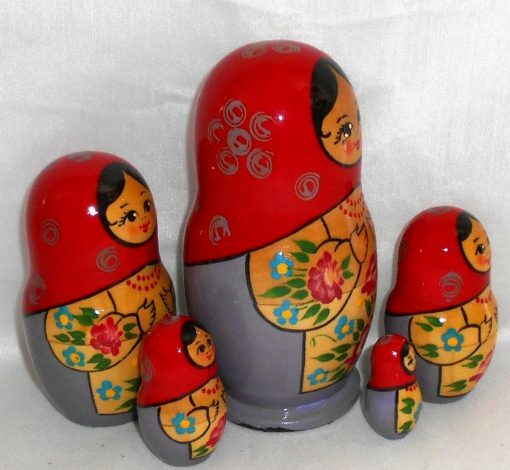 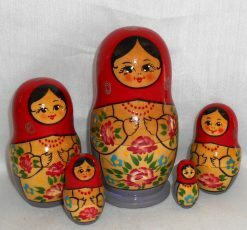 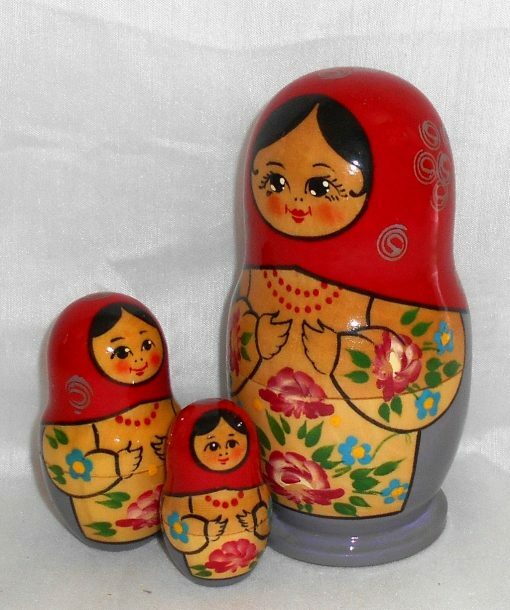 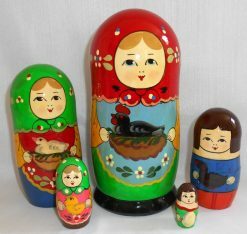 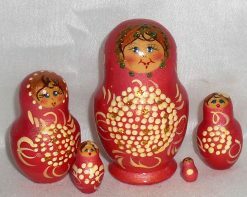 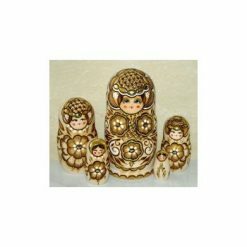 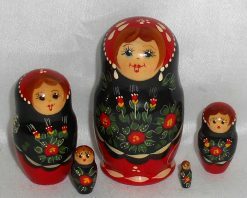 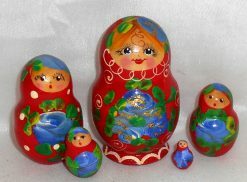 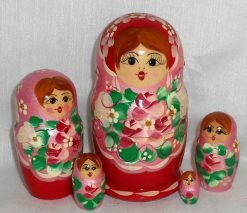 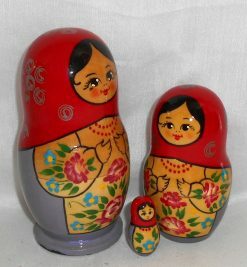 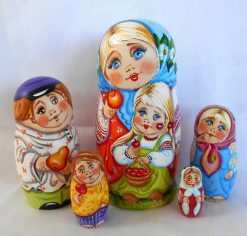 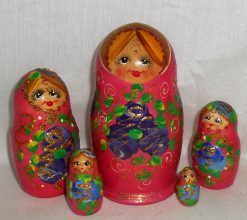 The Kirovskaya “Traditional” Matryoshka is different from the others in that it is rounder and shapelier. 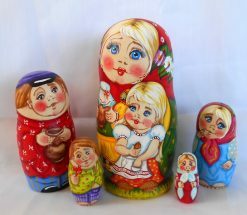 They are painted in accordance with the local tradition, The distinctive future of the Kirovskaya Matryoshka is its face, long eyelashes and a naive yet very pretty face. 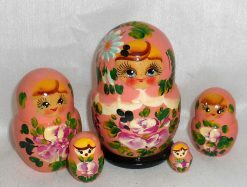 Decorated with softer flowers..